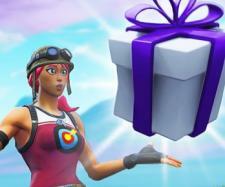 A known data miner claims that someone has dumped millions of Epic Games e-mails and passwords. 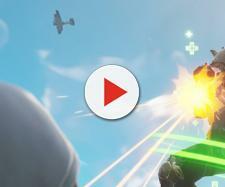 "Fortnite" data miners are on a grind as of late, now that a heap of information that hints about the game's next season was dropped alongside the release of update V4.5. However, one of these leak-finders recently tweeted out something that players of the third-person shooter should be prepared for, as this involves their game accounts. A well-known data miner with the moniker Fortnite: Battle Royale Leaks (@FNBRLeaks) made some sort of a PSA over on Twitter recently, to reveal that someone has dumped 9.7 million Epic Games e-mails and passwords. He even advised the "Fortnite" community to either activate the developer's Two-Step Verification feature or have their passwords reset. He then made a follow-up tweet regarding what he discovered, as it showed the severity of this alleged information dump. At the time he posted it, the data miner claims that there are 9.2 million compromised accounts and over 700,000 failed accounts. He even posted a so-called command line for the tech inclined members of the "Fortnite" player base. Players, on the other hand, are quite skeptical about the tweets and some of them are stating that they haven't received any notifications yet from Epic about such an intel dump. Some of them believe that the developer wants to keep it low key, as this will cause a frenzy among players. Others simply heeded the call and took the necessary steps to protect their accounts. That said, @FNBRLeaks made another tweet for those who are still in doubt. He posted what he claims to be an e-mail from Epic Games' Security team and it stated that they came across his recent tweets. The message then asked for the data miner's source from where he got the information since they take this type of claim very seriously. In line with this, someone responded to @FNBRLeaks' post and showed a couple of images coming from the developer. The images were of notifications stating that the player's account performed a series of unsuccessful login attempts, while the other notified him that his Epic account was successfully linked to the PlayStation Network. The player pointed out, though, that he got the messages randomly adding that he doesn't even own a PS4 console. Whether the information revealed by data miner is true or not, it's still better to be on the safe side and protect your accounts. Meanwhile, Epic has officially released the Hardboiled outfits and gear in "Fortnite" BR. The new outfits include the Sleuth, Noir, and Gumshoe, all worth 1,500 V-Bucks. 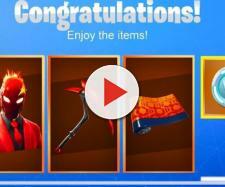 The Viceroy Mark I glider is also available in the shop for 1,200 V-Bucks, while the pickaxe, known as the Magnifying Axe, is at 800 V-Bucks.